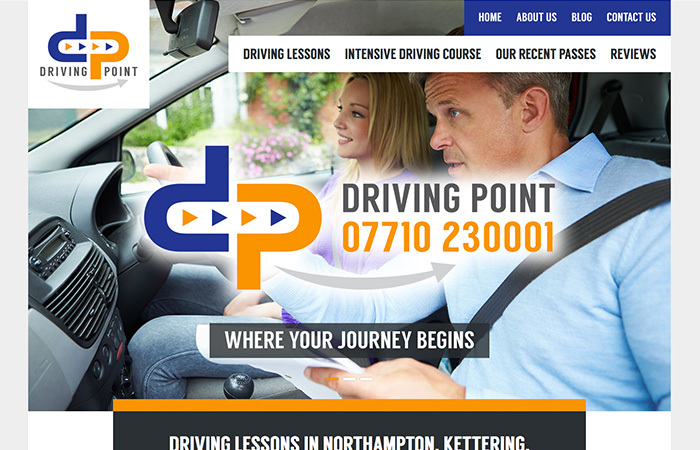 Driving Point is a professional driving school based in Northampton, who offer a range of driving lessons and courses to clients across Northamptonshire and Milton Keynes. In a highly competitive market, they needed a visually-striking brand identity and website that would set them apart from their competitors. Taking inspiration from the client’s own friendly nature, it was important that the website felt approachable and accommodating to potential students. The website promotes the range of services offered clearly, displays fees openly and honestly, whilst remaining friendly and client-focussed.